Keeping in the tradition of giving you an eyeful at the end of the year we will be featuring our gallery artists in salon style. Join us in showing appreciation to these artists for creating art that enhances our lives with work that draws us in and shares imagination, beauty, quietude, fancy, playfulness, curiosity, and craft. 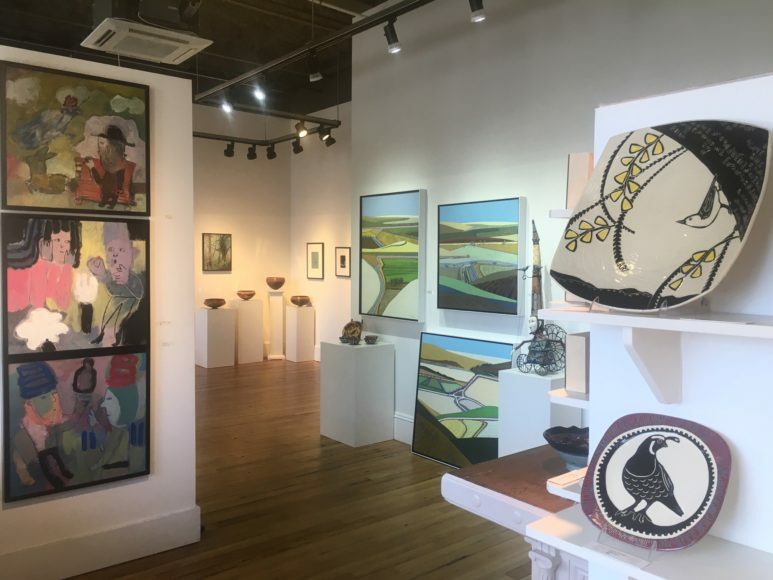 Hanson Howard Gallery is Ashland’s oldest gallery and a classic showcase for established and emerging contemporary northwest artists. Working in a variety of media including painting, sculpture, ceramics and fine art prints their art encompasses a diversity of styles ranging from landscape to abstraction.